Split airport provides regular flights to various Croatian and major international destinations. It is among the three busiest airports in Croatia, after Zagreb and Dubrovnik, holding the majority of the local air traffic. Croatia Airlines, the only national air carrier, offers regular flights towards other Croatian airports, especially Zagreb and Dubrovnik; as well as seasonal flights to various European cities, such as London, Rome, Paris, Amsterdam and Frankfurt. A lot of international airlines are providing regular or seasonal direct flights towards Split from most of the European capitals. German Wings, Scandinavian Airlines or Lufthansa airplanes can often be seen landing to the Split airport. Most of the European destinations are only a short flight away from Split, if you manage to catch a direct flight. For example, you can expect to arrive to Split from London within three and a half hours, while Rome is less than half an hour away. Since Split has a small airport, there are several low cost airlines that provide direct fights to and from Split on the regular basis. For example, if you book your tickets early enough, you can catch a very cheap direct flight with Wizz Air from London to Split for as little as 40 euros. 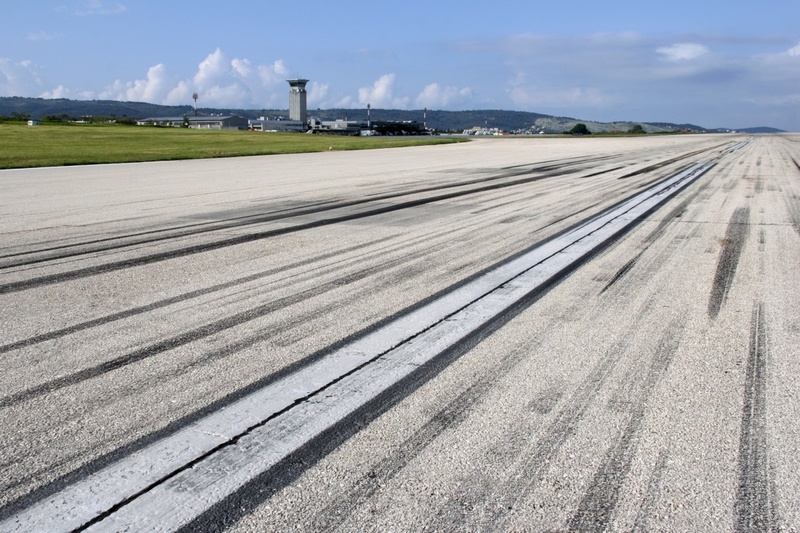 Split airport Resnik is 24 km away from the city center and 6 km from the town of Trogir. It is a small international airport with only one runway and one terminal, which simplifies coordination through the airport area. There are several ways to reach Split from the airport. A bus company Pleso Prijevoz transfers the passengers to Split in coordination with the airport traffic. If you happen to miss their bus line, you can always catch one of the intercity lines (buses number 37 and 38) between Kastela and Split. It is important to know that the buses on the intercity lines are often crowded, so if you have a lot of baggage, it is recommended that you seek other means of transportation towards Split. The bus fares are ranging between 4 and 5 euros. Several taxi services are available at all times to drive towards Split from Resnik for the price of 40 to 50 euros, depending on your final destination. ©2019 - splitcroatia.eu All Rights Reserved.